It’s party time in Cardiff town!!! The gates to the Premiership have finally swung open and happy fans are skipping through into their shiny new soccer entertainment world. It’s a time for grinning inanely and wearing jester hats – not for looking back. What’s done is done. Who cares if Cardiff will be playing in red or blue or lilac cerise? Because there’s more to a football club than just a colour. Well, you’d think so; but if you strip a football club down to its vitals, you’re only really left with two things: a location and a shared identity. They’re the two parts which bind it all together. Supporters change. Players change. Managers change. Owners change. But what’s consistent is the location and a shared identity. And a major part of identity comes from a club’s colours; especially when that club happens to be known as the Bluebirds. Identity is also what helps to bind a country together. What does it mean to be Welsh? It’s a link to the geographic region and a shared identity. And a major part of the Welsh identity has come from our country’s language. So it’s interesting to compare what has happened to Cardiff City since the rebrand with what has been happening in Wales over the past 150 years. Because in both cases an outside influence has tried to radically change an aspect of this shared identity. For Cardiff it has been the colour, for Wales it has been the language. The results have been similarly poisonous. Something which united people has been turned into something which divides them. It has been done under the pretence of fixing a problem – a problem which never really existed. And it has left behind a toxic legacy of anger, in-fighting and deep rooted division. In Wales the ‘rebrand’ started in the mid C19th. This was when the English state decided the Welsh language was a problem. It was making the Welsh stupid, dangerous and unruly. They needed to be taught how to act in a civilised manner. So something which had been a source of national pride; which was integral to Welsh society, culture and history, which was helping to bind a fragmented country together, was now regarded by a London elite as a problem. They portrayed Welsh as being old and outdated, something which was holding the country back. They decided that it needed a radical change. The fix was to remove Welsh from education and to replace it with English language state schooling. By shedding its language, Wales was sold the idea that it was bettering itself. It would have the chance to sit at the top table with the English; sharing a slice of the power and prestige of the British Empire. It’s the same kind of carrot which was dangled in front of Cardiff supporters by Vincent Tan. When the Malaysian businessman arrived at Cardiff, it would have seemed deranged to think of the club’s colour as a problem. Cardiff’s ‘blueness’ was a source of pride, something which provided supporters with a shared connection to the club’s history and heritage – to the good times and the bad. Something which had become woven into the club’s fabric as the Bluebirds. But the rebrand managed to present Cardiff’s ‘blueness’ as a problem. Now it represented an old-fashioned and outdated version of the club; something which was holding Cardiff City back. The brand needed to be modernised, to open up new markets, and that required radical change – from blue to red. And the prize on offer was the Premiership, with all of the wealth and prestige associated. It was Cardiff’s chance to better itself. No more tubby players. No more small crowds. No more misbehaving fans. In both cases, this lure of something better proved to be brutally effective – depressing but understandable. Many were prepared to trade in a massive chunk of identity for a punt on something better. Some embraced the changes, some rejected it – but the majority just trudged along; feeling powerless to stop it happening. Welsh-speaking parents allowed their kids to be taught only English. Cardiff supporters dutifully held aloft their red scarves. What’s so nasty is not so much the individual decisions people have made, but the fact they’ve been forced to make such horrible and divisive decisions. People have been presented with a fictional trade-off between success and identity. Which one do you want? You can’t have both. Success or identity? Premiership or a blue kit? Prosperity or a Welsh language? It creates a deranged black-and-white world in which it becomes impossible for Cardiff City to be successful while proudly retaining their identity. Where it was impossible for Wales to develop into a confident and prosperous nation while maintaining use of the Welsh language. These were never presented as viable options. It creates a rancid atmosphere in which something as simple as wearing a blue Cardiff shirt becomes some kind of loaded political act; something liable to provoke anger and disdain. It’s what has made the use of Welsh in Wales something prickly and contentious. Something that needs to be justified. In both cases, the argument is dominated by the side holding the biggest megaphone. 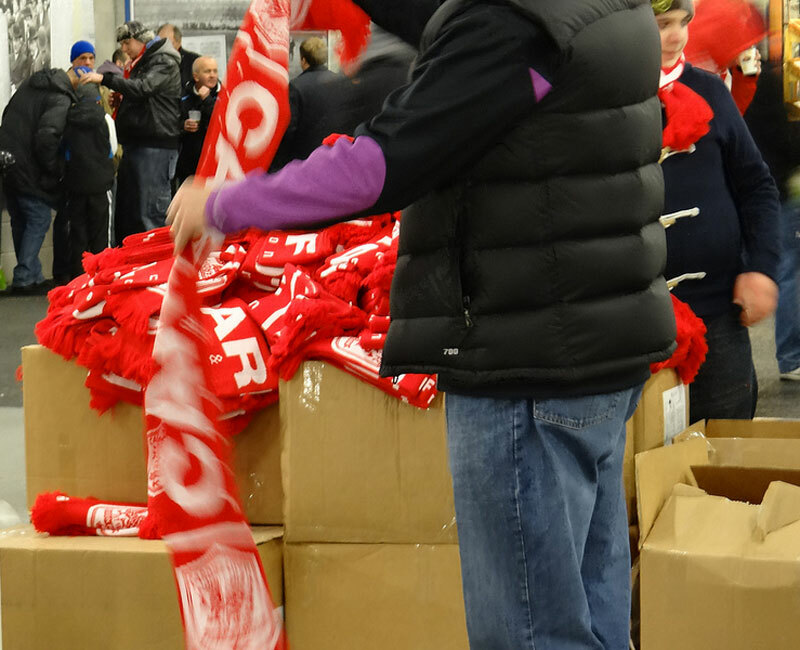 Billionaire Vincent Tan is able to blast his message out, dole out thousands of scarves, dominate the media and drown out those who have tried to oppose the changes. In Wales, the issue of language and identity is generally completely ignored by the English speaking media. It’s too difficult to talk about – so they don’t. And while the two sides fight and scrap between themselves, the people who came up with these idiotic choices slowly fade into the background. 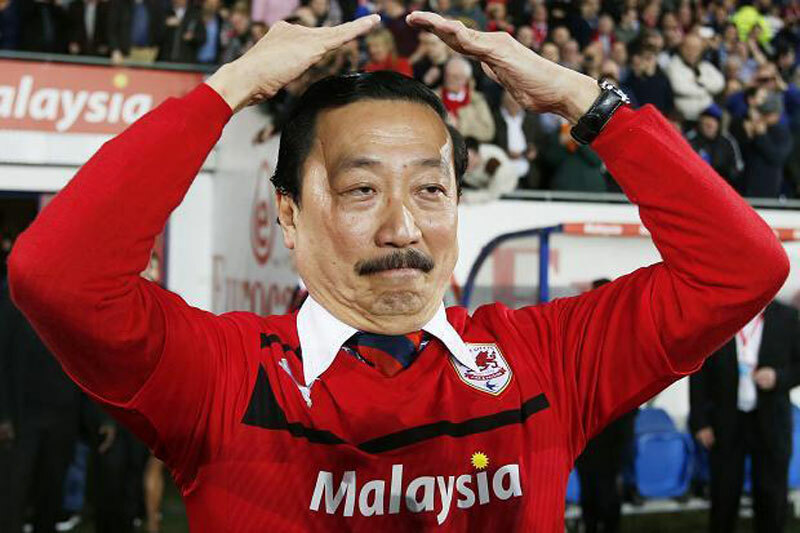 When Vincent Tan leaves Cardiff, he will leave behind a festering mess; a dispute which will eat away at Cardiff City’s soul for years to come – just as the language divide continues to damage Wales. But who cares? It’s Cardiff City in the Premiership. It’s Fulham away. It’s the fire and passion. It’s living the dream. Because there’s more to a football club than just a colour.